Hotchkiss began life as an arms manufacturer and moved into cars in 1903. They survived WWII and some of their post-war cars are pretty attractive. They merged with Delahaye in 1954 and passenger car production stopped the following year. The marque soldiered on with commercial vehicles until 1971. Hotchkiss was one of a few fairly large French automakers that existed prior to the outbreak of WWI that built properly large touring cars. This is not a small automobile. It seems like that the larger the company in France in this period, the smaller the cars. De Dion-Bouton, Renault, and Panhard et Levassor all produced relatively small cars at this time (sure, they made some large ones too). What’s remarkable is that the Type T was the company’s smallest model for 1908! It’s powered by a 3.1-liter straight-four rated at 16/20 horsepower. The Type T was not built in large numbers and this example was discovered in a barn. The restoration finished up in 1998 and it’s still spectacular. The current owner bought it in 2000 and has taken pride in driving it thousands of miles in rallies. It’s the oldest Hotchkiss known to have its original body and it should sell for between $100,000-$120,000. Click here for more info and here for more from this sale. 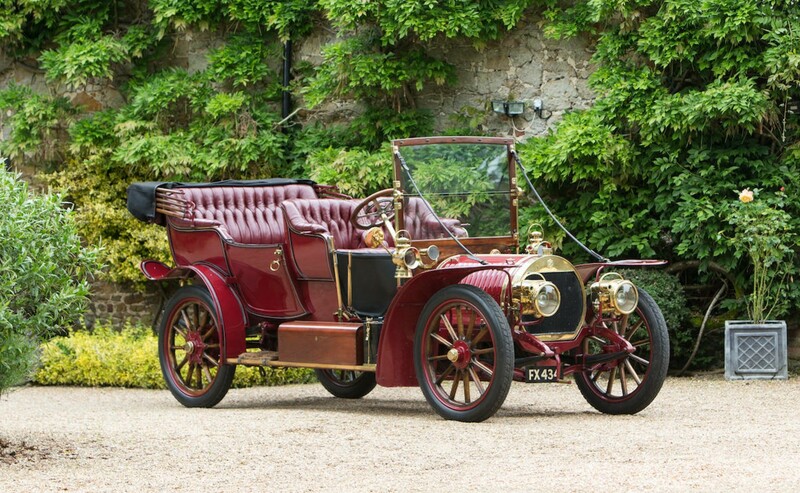 This entry was posted in Uncategorized and tagged 16/20hp, 1908, a. descoins & fils, auctions, Bonhams, cars, classic cars, hotchkiss, roi des belges, type t by classiccarweekly. Bookmark the permalink.